For whatever reason, I walked away from the Sunday live view of this game feeling a little better about Washington…but honestly, on Sunday, I was more focused on the Rams – and my disappointment in the Rams (some of that my over/under win total bet this year – and this was one I hoped they'd steal to secure the win this season. Still looking good.). The Rams got down 20–10 right before halftime and it just seemed the Redskins controlled this game. The Rams clawed their way back in the second half, but I wasn't as locked in on the game at that time on Sunday. The comeback kinda happened under my nose. When I got drawn back into this game Sunday it was to see whether Jared Goff would lead a two-minute drill/final drive to tie the game. A big moment for young Mr. Goff. The very first pass Goff threw to try to tie/win the game -- it was to a double covered receiver over the middle for a quick interception. Game over. One pass into his big moment and Jared Goff gaffed it. I felt like that final drive was the overall mood for this game -- neither team very good, but having some/more hope for my upstart Rams narrative…but leaving disappointed. I have to tell you after a re-watch this game – I had a totally different opinion. I mean, neither of these teams are ready for the Super Bowl or anything, but the Rams played a lot better than I gave them credit. They had a dumb moment to blow it at the end, but there was a lot of good in this game. One player in particular, and we'll start out with him the player notes section. -- This was by far the best Jared Goff (15-25 for 224 yards, 1 TD/1 INT) has looked in the NFL in his young career. I walked away Sunday night disappointed in Goff blowing the two-minute drill so quickly, so stupidly. I wrote a pissy comment about him not being ready for prime time on Monday morning. I wrote that Trevor Siemian was a better quarterback than Goff midweek. I think I might've been a little harsh on Goff. If I could erase that two-minute drill drive interception out of my mind – he played an efficient, smart, sound game otherwise. He is really starting to come off as a confident passer. 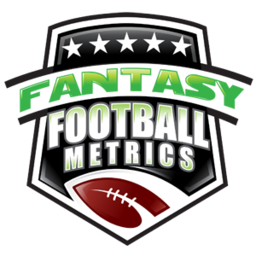 He's not a sudden fantasy superstar waiting to pop, not yet…and Trevor Siemian still works/looks better – but I'm starting to see that Jared Goff who I fell in love with coming out of Cal. Goff is starting to stand in the pocket without the happy feet and tapping the ball pre-throw or hesitations. He starting to step in and fire. And just like Week 1, he was shooting the ball downfield… not just dumping short passes all over. Not just throwing the balls up for grabs. He's throwing the ball medium-deep on the money. I think the Rams have the most yards per pass attempt in the league right now – and that's not by accident or luck. Goff is working the medium passing on a high-level. I believe Jared Goff's confidence is gaining with every series. I believe Sean McVay is a quarterback whisperer, potentially. I thought Goff had Tom Brady strands of DNA within him when I studied him pre-NFL Draft. All of those things are starting to converge. It may take another season or two, but Jared Goff is here to stay. Goff is getting close to becoming one of the top 15 QBs in the league. Two weeks in a row I walked away impressed with Goff. Week 1 against Indy was charity. This week against Washington was a little tougher – and he was really good gain…except that last play. I did a 180 on my feelings about Goff on this game after re-watching it in better detail. I don't know that that will mean anything spectacular for fantasy 2017 because the Rams would prefer to keep it simple with defense and running, but Goff is going to have his moments. Stock up, not stock down for Jared Goff. -- Really, most of my focus on this game was watching everything Samaje Perine (21-67-0, 1-0-0-/1) did once Rob Kelley (12-78-0) got hurt. On Sunday, watching live, I remember getting very excited for Perine getting his chance, but then there was a lot of 0–2 yard runs and I felt like he was not seizing the moment. I must've blacked out for some of the second half, because on the re-watch I got more excited about Samaje's performance. He started out a little slow, but later in the game he was starting to gash the Rams defense with several 5+ yard runs as Washington tried to salt away the clock and sit on their lead. You cannot watch Perine and Kelley in the same game tape and not realize Perine is where it's at. Much more bounce in his step. Samaje can actually catch the ball. If he had more preseason work he'd be further along now to shoulder the bigger workload. Washington may have no choice but to push Perine if Rob Kelley cannot go this week. I think Kelley will probably get back and try to play because he realizes his NFL career is slipping away into Paul Perkins-ville. Kelley can't let Perine have the opportunity to shine. I think Gruden will split carries between them until it becomes too obvious who to go with. Unless Kelley is inactive, I don't have a ton of faith in Perine's workload in Week 3. I'm hopeful but skeptical. Eventually, this will Perine's deal. Chris Thompson continues to provide a spark, so Perine would split some of the work with him. For the next few weeks it will probably be hot hand/RBBC/a rotational situation that will drive fantasy owners nuts until Perine fully takes over. -- Todd Gurley (16-88-1, 3-48-1/4) scored two touchdowns and had his best rushing effort in a while – it was celebrated like he ran for 300 yards. Why are we so excited that Gurley rushed for 88 yards in a game against the Washington Redskins? Big deal. I don't see anything overly special from Gurley still. He's a good ballplayer and he's getting all the work. For fantasy, that's all we need to know. Chris Thompson had as good a game…and looked more explosive – we're not celebrating him? I'd be a seller of Gurley as an RB1/top 10 overall fantasy asset valuation if you could wheel and deal it – if there's even anything you want in exchange. The media makes every little thing he does into something spectacular when it's really not. He's overhyped, overrated, and overvalued for Fantasy – you don't have to dump him, not at all. He's an RB1 this year in PPR. But if you can sell him white hot for a crazy exchange -- I'd consider it. -- Another week, another Terrelle Pryor (2-31-0/4) flimsy effort. Last week, Cousins was looking for Pryor a lot. In this game, he shied away from him. I think that's because Trumaine Johnson was totally locked on Pryor – and Trumaine is built to stop guys like Pryor and Calvin Johnson. Trumaine handled Julio Jones and Calvin Johnson many times in prior matchups. That's not an excuse to say 'it's all good' with Pryor – we haven't seen anything from him with the Redskins yet. I am impatiently waiting. I'm not dropping him or benching him, but I'm not pursuing him in any trades. I'm in a wait and see position. I think this is going to work, but I want to see more evidence. -- It's not like Terrelle Pryor is as bad as Sammy Watkins (2-30-0/2). No one could be that bad. Is there any more media-beloved WR less relevant than Sammy Watkins? Probably, but Watkins is right up there. It's like he's not even in this offense. He's about to become droppable in some 12-team league draft, we just don't know it yet. We don't want to admit it. I try to hold on for one more week but I'd be close to hitting the eject button. Fortunately, I really don't own any shares nor do I want any. -- Gerald Everett (3-95-0/3) had nice output in this game, but I've not seen any 'wow' factor from Everett despite the big plays/gains he's making. I 'blame' more of this on Jared Goff making great reads and throws to him to let him ramble. Everett gets forgotten in coverage and Goff is finding the wide open guy. I'm not ready to get fantasy-excited about Everett yet. -- Jordan Reed (6-48-0) looks just fine to me – he appeared to be on his way to 10+ catches in this game but hurt his chest and left for a while (and later returned). The guy is tough as nails, but it seems like injury is always right around the corner with him. I think you play him this week – if he is active, and not a game-time decision type option, you have to have faith in him. He's played through and succeeded with the injury before. -- A little lower IDP player who I have had my attention called to the last couple preseasons is the Rams DT Morgan Fox (1 tackle, 0.5 sacks). Jeff Fisher was too stupid to put him on the roster when he was showing great ability to penetrate the interior last preseason. However, Sean McVay not only put him on the roster – he's playing a lot of snaps as well. I'm not saying Fox is a superstar making but I'm watching to see how good he might really be against first team blockers. He's only ever shined in the preseasons. However, Fox had a nice sack in this game – one he only got credit for 0.5 of, but he was the main catalyst of. One to see if Wade Phillips makes something useful for fantasy out of.